The Harlem Shake if you haven’t heard of it, is the newest craze and internet sensation. Thousands of videos have been uploaded online (mostly from universities and colleges) in the past week! I guess you could call it the next Gangnam Style if you’d like but i’d prefer it if you didn’t. This doesn’t actually make you want to rip off your ears every time the song comes on. The general idea is that one person dances for about 15 seconds while everyone around them is clueless to what’s going on and then in the last 15 seconds everyone goes CRAZY! Literally! I attend Ryerson University and yesterday in my Art History class all of the Image Arts Students decided we would do one just for fun. Our prof Iain was such a good sport and we love him a hundred times more for being a part of it!! The video is currently at 7,000 views and was shown on Breakfast Television this morning! Warm Bodies is based off of Isaac Marion’s popular novel of the same name. The author originally wrote a short story called, I Am a Zombie Filled with Love which became an internet sensation nearly three years ago before Atria Books acquired the publishing rights for the full novel back in 2010. The full length story known as Warm Bodies was published in 2011. The book jacket says, “’R’ is a zombie. He has no name, no memories, and no pulse, but he has dreams. He is a little different from his fellow Dead.” In a post apocalyptic America destroyed by war, disease and the loss of humans hunger from the growing number of the undead R (Nicholas Hoult) falls for a girl named Julie (Teresa Palmer). For an unknown reason he chooses to spare her life rather then making her a meal. He craves something more then just blood. Well actually there is a reason, to ensure that a killed human doesn’t come back to life as a corpse you have to eat their brain. By doing so it allows you to see their memories and have their feelings. Causing R to make an unexpected choice to save the victim’s girlfriend which breaks all the rules. Their strange relationship begins to change R. He’s becoming more human every day that passes and it’s beginning to catch on to the other corpses as well as they remember how to feel. R wants to live. And Julie wants to help him but it isn’t going to be easy to convince the humans. In the rotting world they’re stuck living; Julie, R and the other zombies won’t go down without a fight. This comedic love story is tale about the power of human connection and one you don’t want to miss. Like the various trailers for this film the movie opens with a witty and clever introduction to the zombie apocalypse and R’s world. The hilarious commentary pulls the audience in from the very beginning and keeps your eyes attached to the screen until the very end. The humans spend their time killing zombies and trying to save their family members from becoming one of them. The cure is to live. That was unknown to everyone until Julie and R helped them realize. As the minutes on the clock rolled by they were running out of time to convince the humans as the bonies (zombies that have worn away to become only skeletons) were also getting closer to killing them themselves. The bonies were not happy about R saving Julie and wanted them both dead as well as the rest of the zombies who weren’t on their side. R makes the final choice to save Julie when they fall many feet into a pool of water. Miraculously they both live. After Julie kisses R you see his pupils get bigger and his eyes become blue, the final transformation. When they pull away Julie’s father shoots R only for Julie to notice that he’s bleeding and corpses do not bleed. He actually became human from living. Fun fact: The film and book make various references to the famous tragic love story Romeo and Juliet. The most obvious being the main characters names; ‘R’ and ‘Julie’ for ‘Romeo’ and ‘Juliet.’ There’s also a scene in the movie where Julie’s outside on her friend Nora’s balcony and R is standing at the bottom. He can’t get caught by any humans because they’d shoot him dead within seconds. Romeo, Romeo, wherefore art thou Romeo? 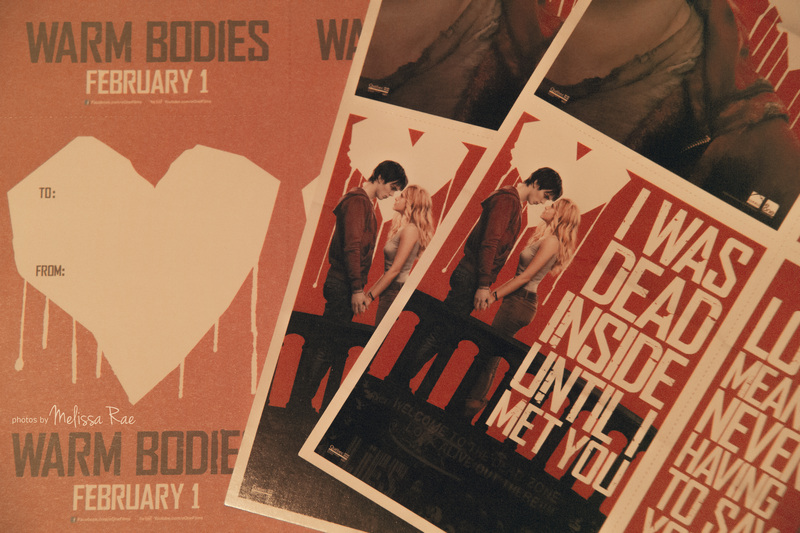 Make sure to check out Warm Bodies next week when it hits theatres on Friday February 1, 2013. Tonight was the 18th Annual People’s Critics Choice Movie Awards in Santa Monica California. Every nominee is extremely talented and well-deserving of the award in their category, but there can only be one winner. I would also like to become a critic because getting to watch movies for a living has to be one of the best jobs in existence. I will never get tired of talking about Jennifer Lawrence, ever. The thing I love most about Jennifer is how completely humble she is when accepting an award. And when she loses she’s genuinely happy for the winner because she’s just grateful to be nominated. Tonight she racked in Best Actress in an Action Movie for her role as Katniss Everdeen in The Hunger Games, Best Actress in a Comedy for her her role as Tiffany Maxwell in Silver Linings Playbook, Best Comedy for Silver Linings Playbook and Best Acting Ensemble for Silver Linings Playbook. Not too shabby! Jennifer was also nominated for Best Actress which went to Jessica Chastain (Zero Dark Thirty) and Best Picture which went to Argo. Never underestimate this lately, she’s quickly taking the film industry by storm at the young age of 22. I would also like to congratulate Jennifer on her second Oscar nomination which was announced this morning. No one was more deserving of Best Supporting Actress then Anne Hathaway for her role as Fantine in Les Miserables. If you’ve seen the movie it’d be hard for you to disagree. Her rendition of I Dreamed A Dream has the ability to put you in tears. I remember the first time I ever heard her sing, it was in the movie Ella Enchanted and I didn’t think it was actually her. There was a tiny mistake tonight when announcing the nominee’s they spelt her name as Ann Hathaway instead of Anne, missing the e. As she walked on stage to accept her award she pointed it out while mentioning that she probably shouldn’t. I’m really happy for Ben Affleck on his award for Best Director after being snubbed for an Oscar nomination. Ben is so well rounded in this industry as an actor, director, writer and producer. He can do it all and he does it right. His speech tonight had to have been one of the biggest highlights as he actually called out the Academy on their clear mistake. Quvenzhane Wallis is absolutely adorable. Tonight she won Best Young Actor/Actress for her role as Hushpuppy in Beasts of the Southern Wild. She also becomes the youngest actress in history to receive and Oscar Award nomination at 9. Quvenzhane walked on stage tonight with her thank you speech typed out on a phone (not sure if it was hers or not). The microphone stood taller then her but she was so cute. 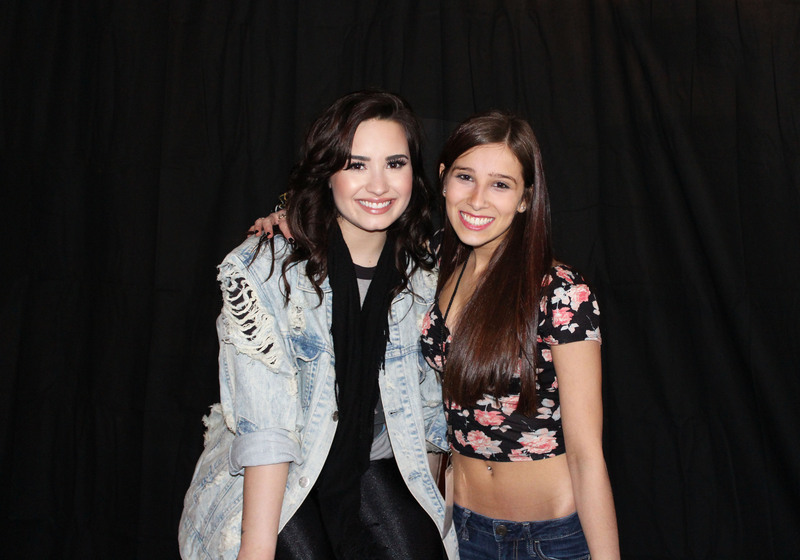 I wanted to give her a hug. I have yet to see the movie she stars in but I definitely plan to now. The movie Lincoln also won a fair amount of awards tonight. I’m sure the acting’s great but I have no interest in ever seeing that movie. It looks like a bore and I feel as though I’d fall asleep in the theatre. We’ll have to see if i’m proved wrong. I have don’t have very long to catch up on all the Oscar nominated films. Congratulations to all of the winners tonight! Only two more nights until the Golden Globes on Sunday!